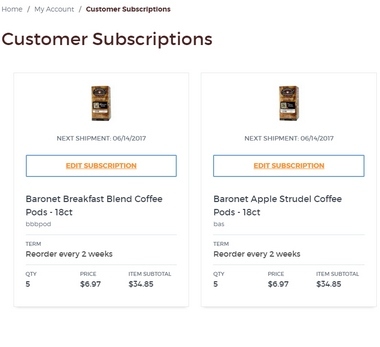 Create an auto ship subscription and have your coffee order sent automatically on a schedule you choose. No Commitment: Cancel or modify your subscription at anytime. Flexible Scheduling: Choose to have your order auto shipped every 2, 4, 6, or 8 weeks. Save: All subscription orders automatically receive a 5% discount. On any product page, click on the "Subscribe" button. 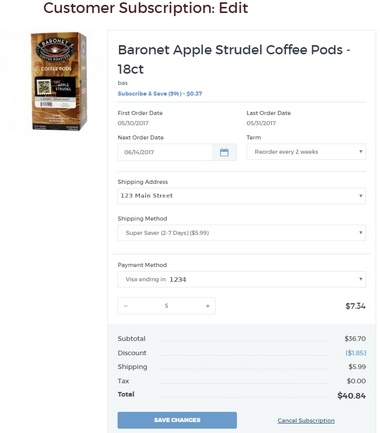 A drop down menu will appear where you can select the interval that you would like your product shipped. 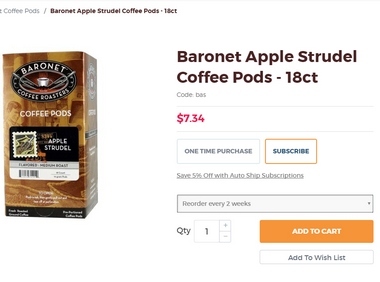 Click the "Add to Cart" button to add this subscription to your cart. At this point you may continue shopping or check out. 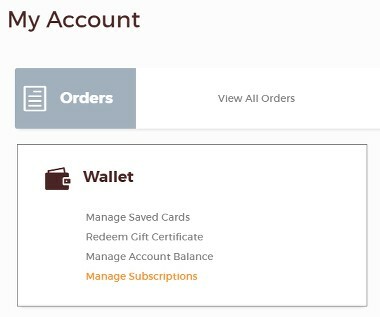 Your subscription is complete when you finish the check out process. From the top navigation, click on the "My Account" link. Click on the "Manage Subscriptions" link. Select the "Edit Subscription" link for the product that you would like to change. Click the "Save Changes" button at the bottom.